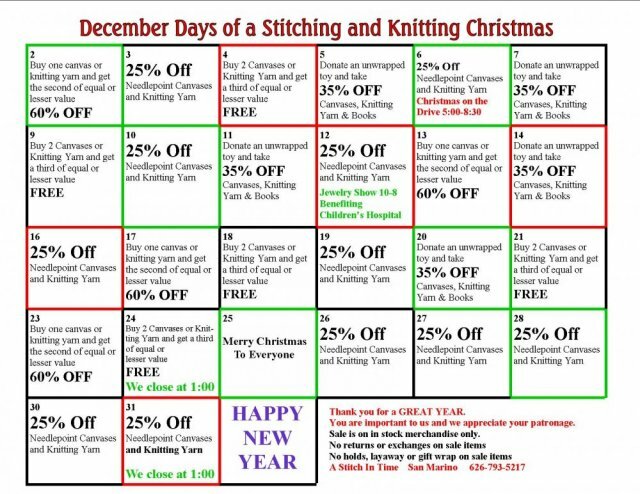 Here is the Sale Calendar for December. If you can't get in to the shop I am happy to take pictures of canvases we have in stock for you to choose from. Just send me an email and I will get back to you. I have also listed our trunk shows for next year. Just follow this link to the newsletter page of our web site.